A report compiled on the Zimbabwean Electoral Commission voters' roll for 2018 exposes major flaws in the current voters' roll. This comes only weeks before Zimbabweans head to the polls for its national elections on July 30, 2018. The report, compiled by a group of experts called Team Pachudu, cites Zimbabwe's history of shaky election results as the main reason for its analysis of the voters' roll. The report highlights more than 250 000 records on the voters' roll that are either duplicated, invalid, statistically improbable or incorrect. This includes more than 8 000 men registered as women, scores of voters registered to an empty field in Harare and at least two Zimbabwean voters who would qualify as the two oldest living people on earth. The discrepancies bring into question the integrity of the voters' roll for the upcoming elections later this month. The elections are the first after former president Robert Mugabe's controversial "step down" in November 2017. The voters' roll consists of the names, surnames, identity numbers and addresses of more than 5.6 million Zimbabweans eligible to vote in the upcoming elections. It also includes the district in which the person is registered to vote. But the analysis by Team Pachudu highlights several issues that it claims questions the integrity of the entire roll. For example, the report indicates that a large number of records do not pass identity number verification checks. Zimbabwean identity numbers contain a built-in means of verification, allowing the validity of an identity number to be calculated. A similar system is used to verify South African identity numbers. In one instance, the same identity number was allocated to three different records, with each person registered to vote at a different polling station. "We found 4 983 people who Zec would have us believe are different people, with exactly the same first name, surname and date of birth, most also having the same gender." Additional analysis of the identity numbers issued by several districts, pointed to a small regional office of the Registrar General (RG) had suddenly been responsible for issuing as many identity numbers as the Harare Office, one of the country's busiest RG offices. "There is a very low statistical probability that people who share the same last name would share the same set of middle numbers across districts. In our analysis we found 122 788 cases like this." "When we limited this to cases where the people also have same prefix and suffix in the ID numbers (i.e. where the code of the district they registered in is the same as their originating district) the number was reduced to 74 932. Of these cases, 50 290 exist also in the 2013 voters' roll, meaning 24 642 were added in 2018." The report found at least two people on the voters' roll who were younger than 18. This lays bare claims by the ZEC that their system would automatically identify and reject these individuals. One of these will only turn 18 in September, months after the polls have closed. The voters' roll also contains two voters who would be the oldest people in the world. According to the roll, Sihle Mpofu (134) and Phidas Ndlovu (141) were born on July 17, 1884 and September 27, 1877 respectively. By comparison, the oldest officially verified living person in the world is 117-year-old ChiyoMiyako from Japan. Neither of these voters could be found in the 2013 voters' roll. 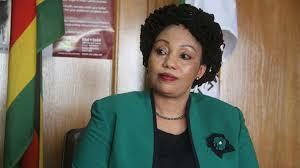 Instead, the oldest person indicated on the ZEC's 2013 voter’s roll was slightly older than 113. However, a copy of the 2008 voters' roll contains a Sihle Mpofu and Phidas Ndlovu, with the same identity numbers and addresses as their 2018 counterparts, but with a sinister twist. Strangely, in 2008 the pair shared the same birth date of January 1, 1970. The group went further and compared the records of the 2013 voters' roll with those of the 2018 voters' roll. This revealed several records which were copied, but with minor changes. "Comparing records on the 2013 voters' roll to the records on the 2018 voters' roll revealed some strong evidence that potentially deceased voters were copied, and then had their ID numbers changed slightly." Several addresses indicated on the voters' roll couldn't be verified. This was either due to the addresses being non-existent or the address being an open field. In one instance, the same address was registered to eight different people voting in five different districts. "Our analysis found at least 54 110 cases where people had been assigned to the wrong ward or constituency. There may be thousands more who are incorrectly assigned; we only used a small sample of corrected, standardised addresses in our analysis." Scores of voters were registered to an open space located at the intersection of Pangoula and Arcturus roads in Harare. These voters featured nearly identical identity numbers. A further 33 000 voters featured ill-defined addresses which only indicated the city in which the citizens were registered. The report shows that scores of voters were duplicated, using the same name, surname and address, but registered at different voting stations using different ID numbers. The report recommended that voting on July 30 be postponed until the issues in the report have been addressed.